With over 2 billion people using the Internet and over 800 million people registered on the popular social networking website Facebook, one problem that is widely discussed in the media and extensively researched in academic circles is that of ensuring privacy of the users. Privacy has been defined as the “individuals right to control information about themselves”, but this right is hard to enforce if one does not understand the flow of information. 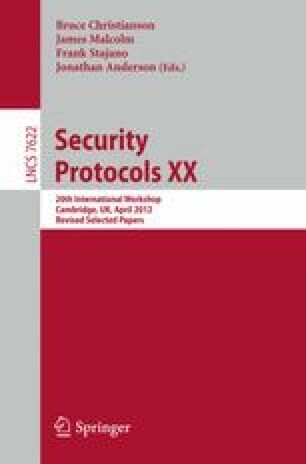 In this paper, we suggest that in order to bring privacy enhancing protocols into life, for the user, we need to visualise the information flow from the user to the Internet and vice versa. This would help users better understand what information they are sharing with whom and disable any undesired flows, with a mouse-click or a finger-tap, before it is too late.